I wonder how many Americans find themselves in the same predicament as I do:—there’s an election next week and we have little idea about the issues being debated there and whom we might vote for. Yes, elections are happening all across this country now. But would we know about it from our mass media? No. In my upstate New York district, it’s not always apparent which candidate is Democrat and which is Republican. Some places have legislative elections; some don’t; my county has a state senate seat up for election, but I don’t vote there. Elsewhere (in Kentucky, Louisiana and Mississippi) important races for governorships and some US senate seats are being contested. If it weren’t for Rachel Maddow’s discussion on national TV http://www.msnbc.com/rachel-maddow-show/the-2015-gubernatorial-races-enter-the-home-stretch , out-of-staters wouldn’t know about them at all. Who are those residents of Iowa and New Hampshire who get so much attention from the big parties and our media and the political analysts? Why do two low population (IA with 3,100,000 and NH with barely 1,300,000) http://www.enchantedlearning.com/usa/states/population.shtml arguably marginal states, define our presidential nominees? If they really do. Outside of these presidential campaigns every four years, one hears little from them. How could their views of presidential contenders be as critical to the rest of us as the fierce competition underway suggests they are? And why can’t the major parties assign some of the tens of millions in their campaign coffers to local contests? Two weeks ago, lawn signs began to appear on roadsides in my neighborhood; they were announcing candidates for local judgeships, and for town mayors, councilmen and road supervisors. Thus I learn an election is imminent. I normally vote by party, but none of those candidates’ flyers specify party affiliation. What about information from a local paper? I find only personal ads in this week’s edition. So I turn to my county Board of Elections webpage; on its home page appear the names of a bunch of committee heads. I click the link to my town but information is sparse. 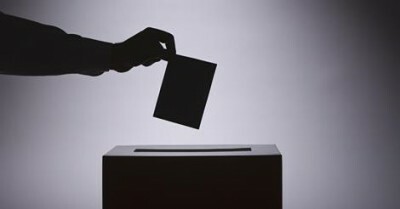 On the ballot I’ll mark next Tuesday are 12 candidates running for 9 posts. Six of these candidates, all on the Republican ticket, are unopposed. None are from my party. I’ve not found even a resume of any candidate. Can you blame me for turning to the national scene? I’ve been watching the Republican presidential debates (the Democratic too) for the past 2 months–it seems like longer– followed by hours comparing my responses to the endless musings of our multitude of talk show pundits. (They keep themselves gainfully employed through this process.) The candidates –we all know the handful of four or so who stand out– are certainly entertaining and at times infuriating, even frightening, to any non-Republican. And if they can’t provide the level of comedy we need, corporate media will find a way to arouse us. And however outrageous, limp or impoverished these candidates may be, it’s our income-generating media that will keep this circus spinning for another year, all 365 of it. In case I become excited over someone to cast my vote for, from among the finalists who survive through to next autumn, I’ll be told that the outcome for the post of the “most powerful person in the world” will be in the hands of residents of the “swing states”-Florida, Pennsylvania and perhaps Colorado or Virginia–where competition is always close. We in the remaining 46 states will not count much. So, our costly, time-consuming election process comes down to media offerings. It’s good entertainment, I give our democracy that.